Fill your trip to Dubai with adventure! Here are top 10 exciting activities you must do in Dubai for an experience you will never forget! Dubai is a land of wonders. This largest emirate of UAE attracts around 15 million visitors every year. Thanks to its tourism-focused policies, the tourism scene of Dubai always keeps getting better. My recent trip to Dubai has been filled with adventures and explorations. And in this article today, I would like to share 10 exciting activities you must do in Dubai so you too can have a memorable experience in the emirate. Dubai desert safari is an unforgettable experience and a perfect activity, especially for adventure lovers. During the five to six hours of desert safari, you will explore the immersive beauty of the desert. You will be picked up from your hotel in a 4×4 car and taken on a long ride outside of the city – to the Lahbab desert. At your first stop, you can enjoy riding a quad bike (optional, read below) while your driver deflates the car’s tires. After hitting the road again, you will get to experience the bumpy ride in the desert. You might want to get ready with a vomit bag if you feel uneasy during this ride (ask your driver for a bag if you need one). During this ride, your driver will make a stop at least twice. This is the time when you will be able to take the best photographs and enjoy the beauty of the desert. Observing the sun slowly setting down in this beautiful desert is an amazing experience on its own. After the sunset, you will head over to the Bedouin-style camp. This is where you can enjoy a short camel ride, smoke shisha pipe and henna tattoos (for ladies). Also enjoy the BBQ dinner while performers present fire show, tanoura and belly dance performances. After dinner, you will head back to the city and be dropped at your hotel – ending your fun-filled desert safari activity. Book Red Dune Desert Safari with BBQ Dinner now. 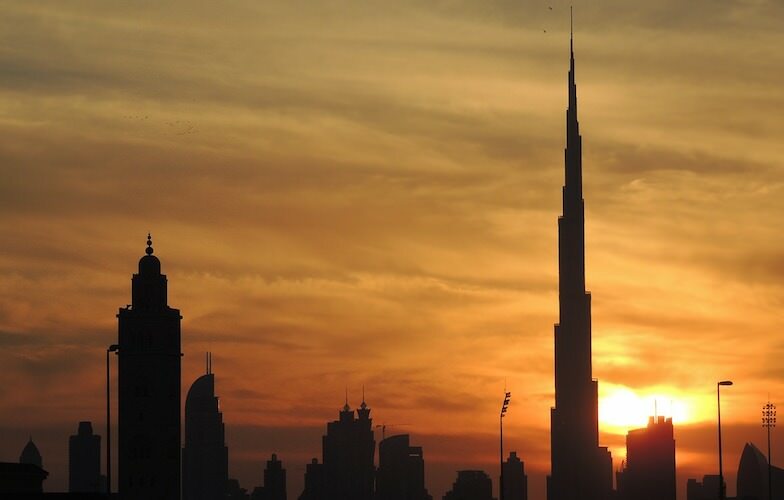 Experience the beauty of Dubai from the tallest skyscraper in the world – Burj Khalifa! A visit to Dubai is definitely incomplete without visiting Burj Khalifa. Hop in one of the world’s fastest elevators to reach the top of this gigantic architecture and enjoy the breathtaking 360-degree views of Dubai and the Arabian Gulf. You can choose to visit level 124 & 125, or even higher – level 148. Your visit to level 148 also includes level 124 and 125. What about enjoying a delicious meal while at it? You can book a 3-course meal at the rooftop Burj Club on level 124. 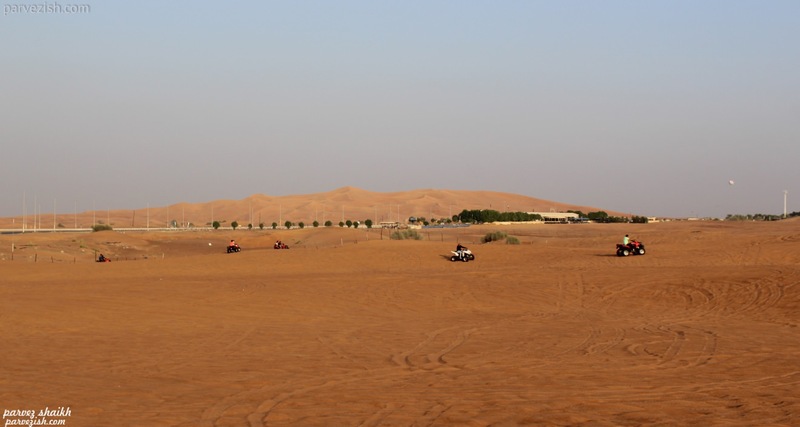 Quad biking is an optional activity during Dubai Desert Safari. Once your ride stops for the first time, you have a chance to enjoy a quad bike ride in the desert. 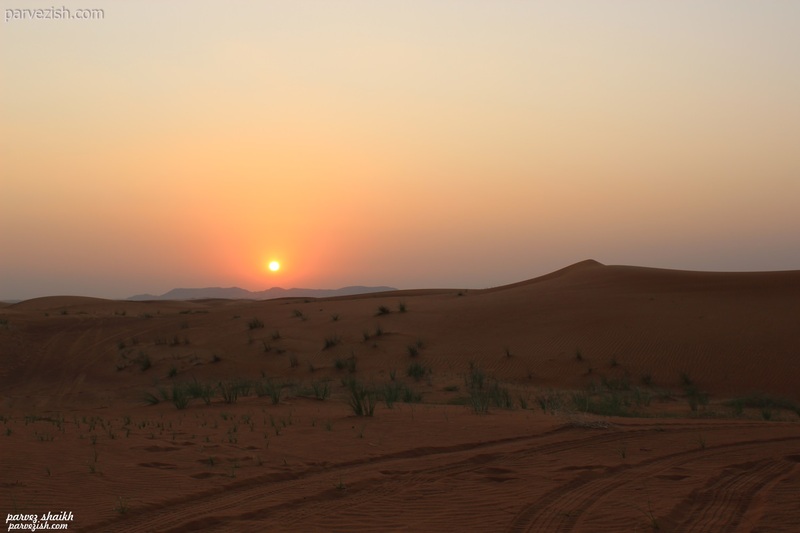 Riding a quad bike in the smooth sand of this gorgeous desert is an adventurous experience. You can ride solo or as a couple (make terms clear while paying). Travel tip: The prices at the camp are not fixed and you might be quoted an expensive rate at first. You might be able to use your bargaining skills here to settle for a better rate. One, two, three, jump! Enjoy a free fall from thousands of feet above the ground and sail in the air while enjoying spectacular views below. Skydive Dubai is one-of-its-kind experience in Dubai and you should add it to your to-do list for sure. Whether you are an experienced skydiver or just doing it for the first time – Skydive Dubai has got you covered. If this is your first time, you can book a tandem jump and get accompanied by an experienced instructor guiding you throughout the adventure. Book your Skydive Dubai slot now. Feeling a little more adventurous? Then take a helicopter ride above Dubai and observe the city from a different perspective. You will be picked from your hotel and taken right aboard a luxurious helicopter. This copter will take you for a memorable flight over iconic sites such as Atlantis The Palm, Burj Al Arab and the Golden Mile. You can choose between 15 or 25 minute flight duration while booking your activity. Book Dubai Helicopter Flight now. Wish to explore the city on a seaplane? You can do that too! Book Dubai Seaplane Adventure Flight now! Capture the beauty of Margham desert from 3000 feet above. Get picked up early morning from your hotel and jump onto the hot air balloon. Go for an hour-long balloon ride around sunrise for a breathtaking view! Enjoy the moment as your float above beautiful scenery. After your fun-filled ride, you will be issued a commemorative flight certificate before being dropped back at your place. Book Dubai Desert: Hot Air Balloon Flight now. Enjoy the panoramic views of Dubai’s Deira Creek in the world’s biggest dhow cruise. Your activity starts from a pickup from your hotel and you’re taken to the dhow cruise which is beautifully decorated with lights. Once on the dhow, enjoy the warm welcome in traditional Arabian style as you’re presented with Arabic coffee and dates. You will be guided to your table and the boat will soon start sailing across Dubai Creek. Enjoy your 5-star international buffet dinner while performers present their talent. This includes a live singer and traditional dance forms – tanoura and yowla dance. This 2-hour ride is the best way to sit back and relax – away from the sounds of the city. Once you are done enjoying your evening, you will be dropped back at your place. 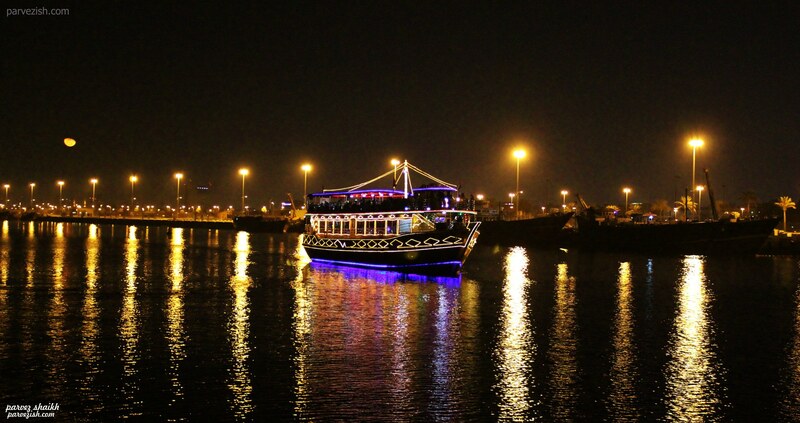 Book Dubai Creek 5-Star Buffet Dinner on Dhow Cruise. Take an exciting 90-minute speed boat tour from Dubai Marina and explore some of Dubai’s world-famous landmarks like Palm Jumeirah and Burj Al Arab. You can choose between morning or evening times (I recommend an evening ride) as suitable to you. Book your activity in advance and reach Dubai Marina on time. Jump in the speed boat and enjoy your ride from the Dubai Marina – an artificial canal city. Your boat will take pause near the landmarks – allowing enough time to capture every moment on your camera. Book 90-Minute Speed Boat Tour from Dubai Marina now. Beat the heat! 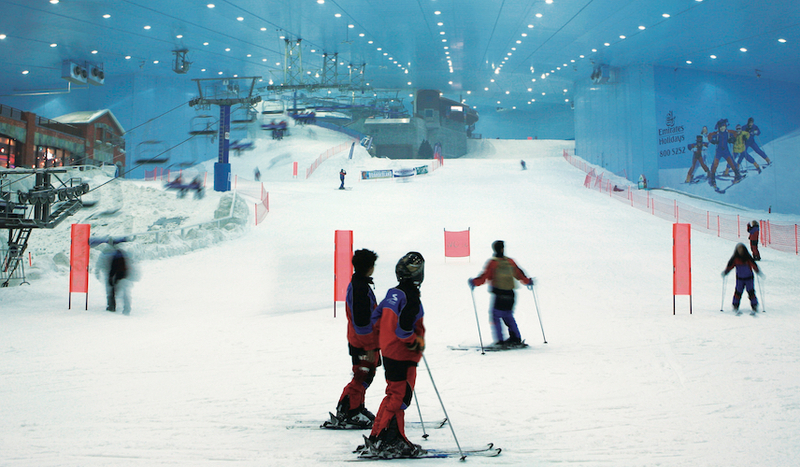 Enjoy a full-fledged skiing experience in the hot desert of Dubai at Ski Dubai. Ski Dubai is a first-of-its-kind indoor ski resort in the Middle East which features 5 different runs of varying difficulty and length. If you want to sound cool by saying “I went for skiing in a desert”, Ski Dubai is an activity you must book. If you are an experienced skier, you might not find this an overwhelming experience. But for most other adventure-seeking travelers, Ski Dubai can prove to be an exciting activity. There are different options available for booking. Ski Dubai Tickets: Full-Day Super Pass (Does not include skiing). Get up, close and personal with playful dolphins. Hug them, get kissed by them, take a belly ride and more during Atlantis dolphin adventure. This 90-minute dolphin adventure takes place at Dolphin Bay lagoon where you will spend about 30 minutes with dolphins. You will get to learn some interesting facts about dolphins and other marine mammals too. Okay fellow travelers! This was my list of top 10 activities you must do in Dubai. I hope you find these activities as exciting as I did. If you took part in one or more such activities in Dubai, I would love to know more about them! Feel free to add your comments. Connect with me on Instagram as well. There are many other activities you can do in Dubai. Make sure to have a look at them all. Travel Tip: I recommend booking these activities in advance to avoid last-minute rush. Many of these activities get booked ahead of time. Most of these activities also offer free cancellation if you need to make changes to your travel plan later. This is Parvez signing off. Hope to see you soon on next article. Hi, John. Thanks for your comment. I am glad you liked this article. That’s an interesting article Parvez, loved reading it. I liked the pictures too and your amazing selection of top 10 Dubai Activities to do. Thank you for reading this article and leaving your comment, Meenal. I appreciate it.